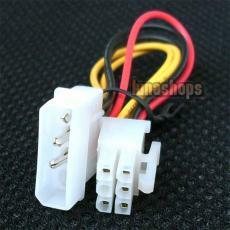 IDE 4 Pin Power to 6 Pin ATX Power Adapter Cable. Build Intel or AMD system without having to buy a new power supply . IDE 4 Pin Cable allow your ATX power supply to support P4 motherboard power connector . 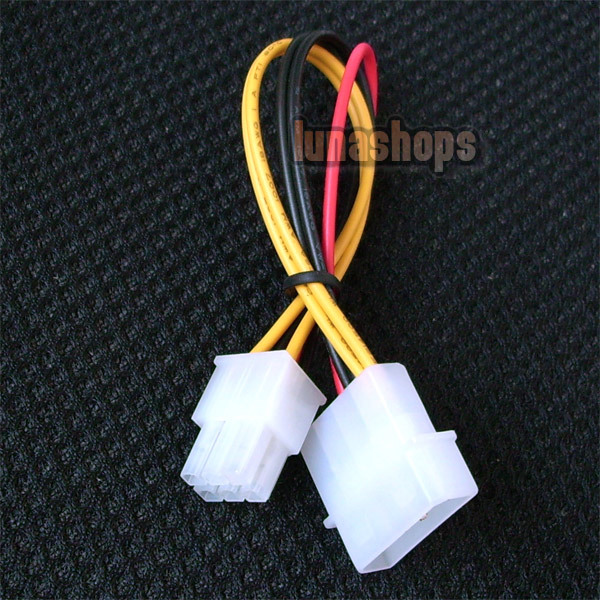 Convert one of your white 4-pin molex connector on the power supply to one that your ATX hard drive can use. 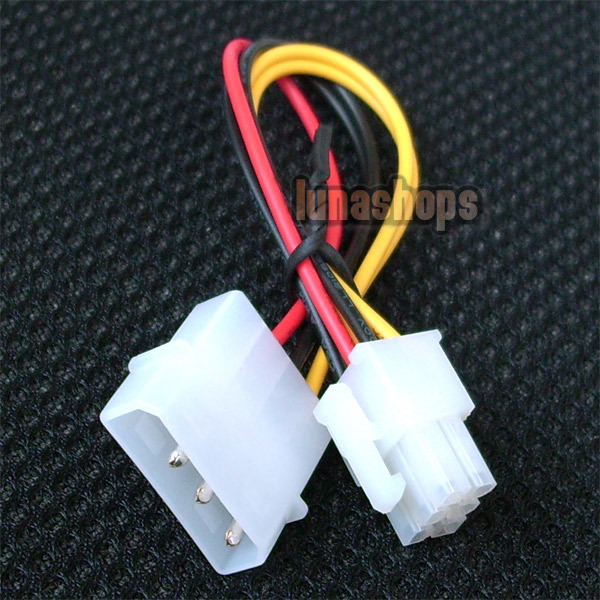 Use this 6 Pin ATX Power Cable to power a ATX drive with a 4 Pin molex power connector that you find on IDE devices. Convert regular 4-pin molex power connector to 6-pin motherboard power connector. A must for any motherboard upgrade with IDE to ATX Power Cable .